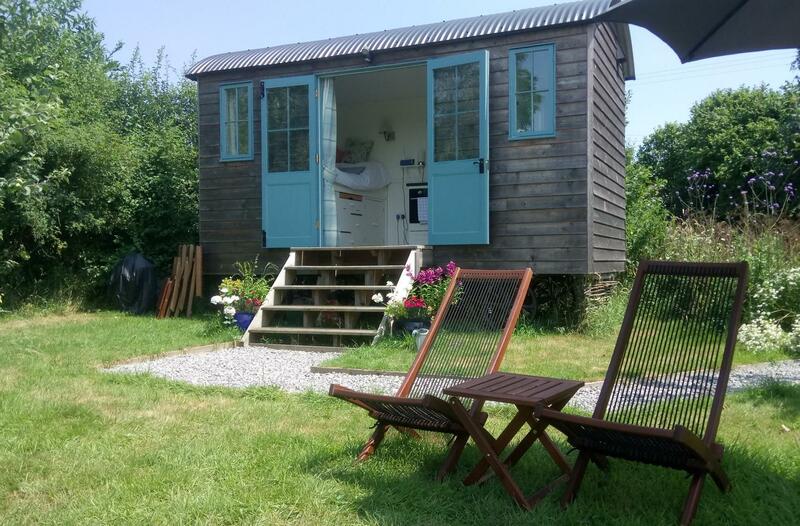 Deer are the nearest neighbours at this secluded Somerset site next to a 100-acre wood. 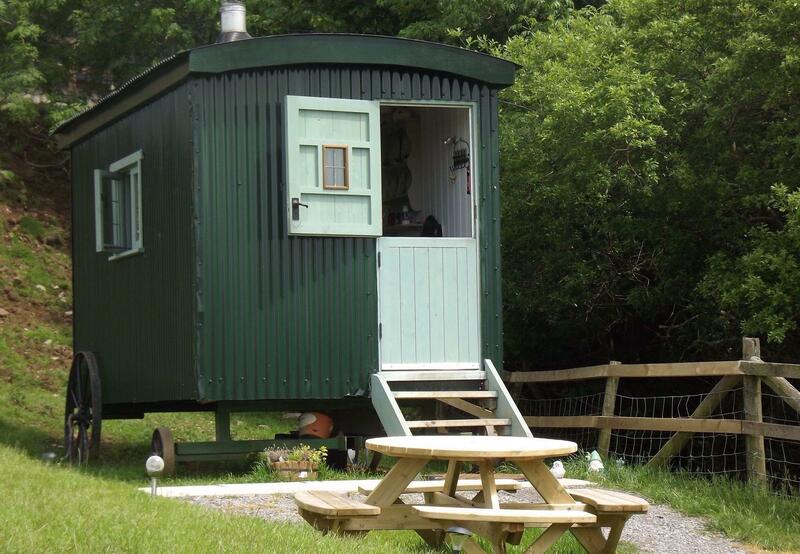 There are just two shepherds huts, each with its own wood-fired tub. 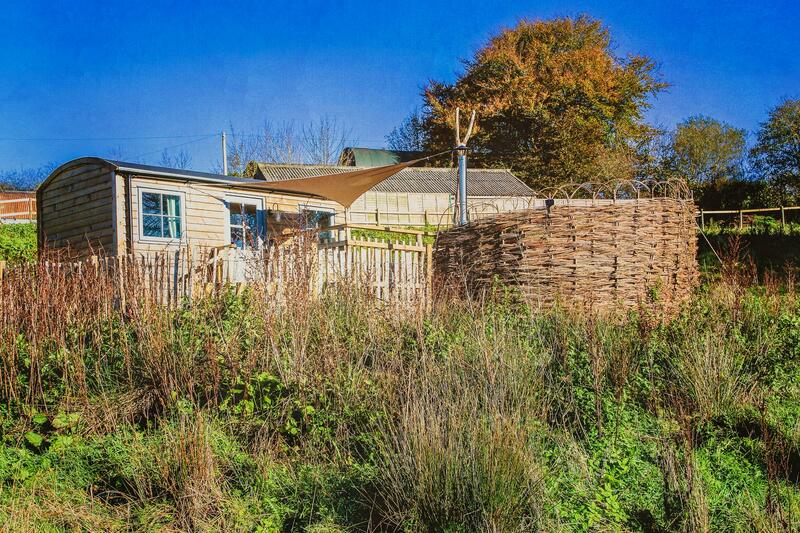 At the top of the slope on this untamed, eco-friendly glamping site, the handcrafted Wren Hut has a wood-fired hot tub for two, sheltered by a beautiful willow screen. 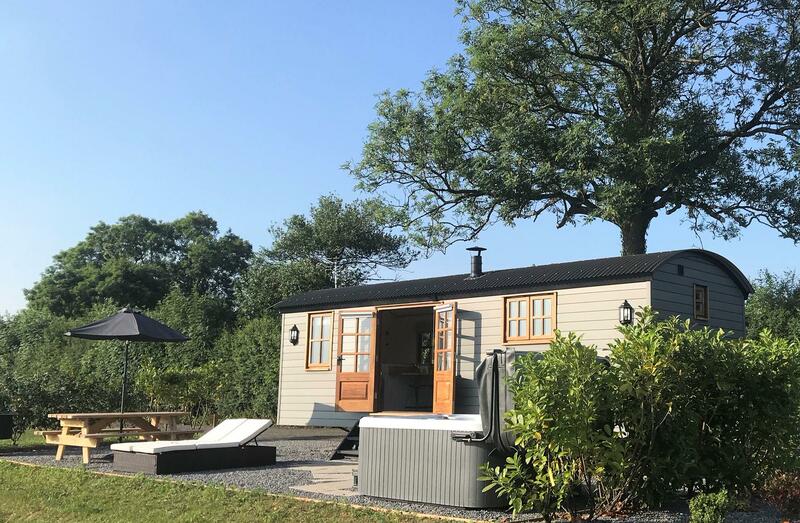 Between Exmoor National Park and the beaches of Coombe Martin, Watermouth and Illfracombe, this hidden hut on a farm has the dream North Devon location with exquisite views from your hot tub. 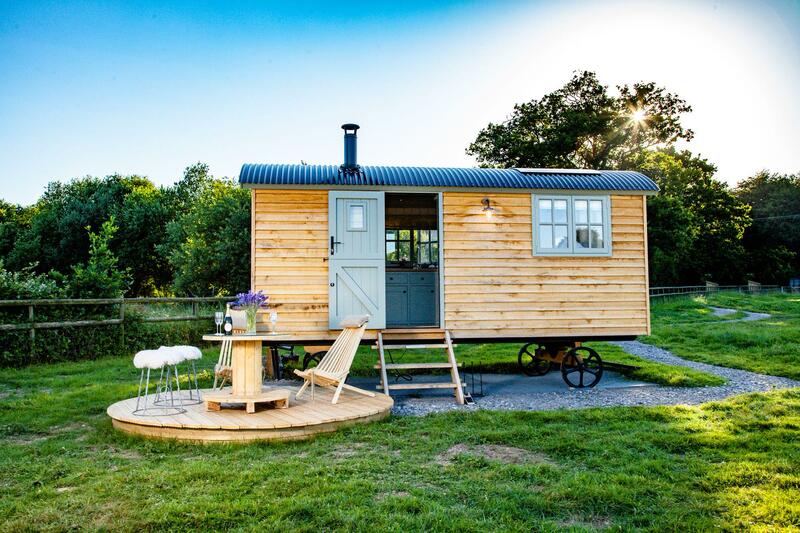 Opened in 2018, this exclusive, all mod-cons shepherd's hut has a curved stargazing window above your bed and a wood-fired pizza oven outside. 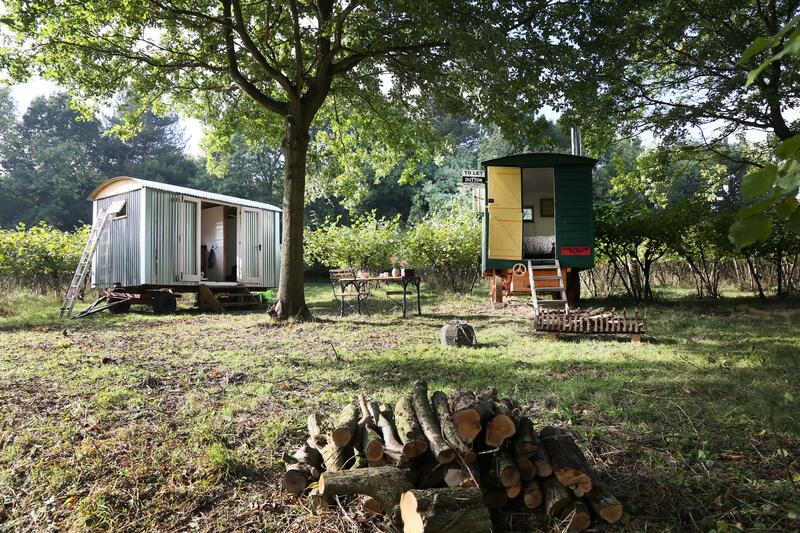 Help with the cob nut harvest at this ancient orchard on the banks of the River Bourne, where two antique living vans can be paired together for added space. 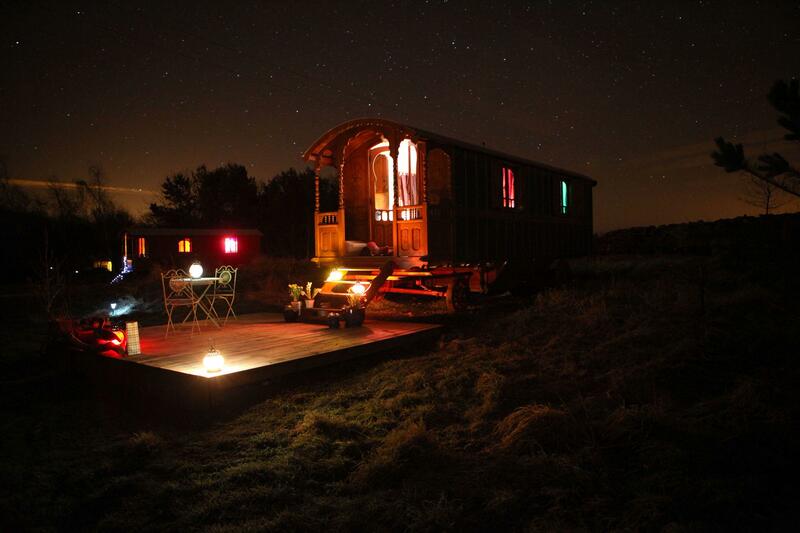 Enjoy yoga retreats and creative workshops at this pond-side hot tub retreat, four miles from Melrose and the River Tweed. Enjoy spectacular views from this perch in the Dorset countryside, with a separate Norwegian barbecue hut for atmospheric cook outs, whatever the weather. 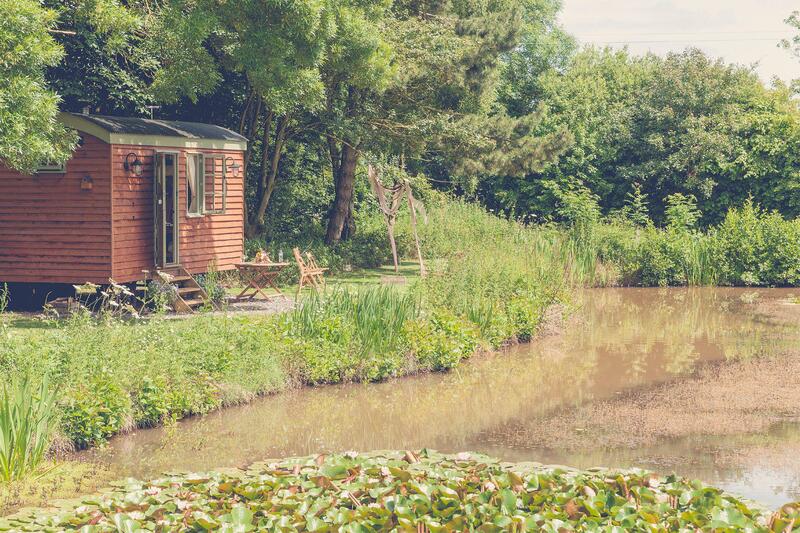 Enjoy the ultimate in waterside privacy at this East Yorkshire hut, just two miles from the beach and a half-hour drive from the city of Hull. In the grounds of an old post office, this rural bolthole is within walking distance of the National Trust's Barrington Court estate and 35 minutes from the coast. 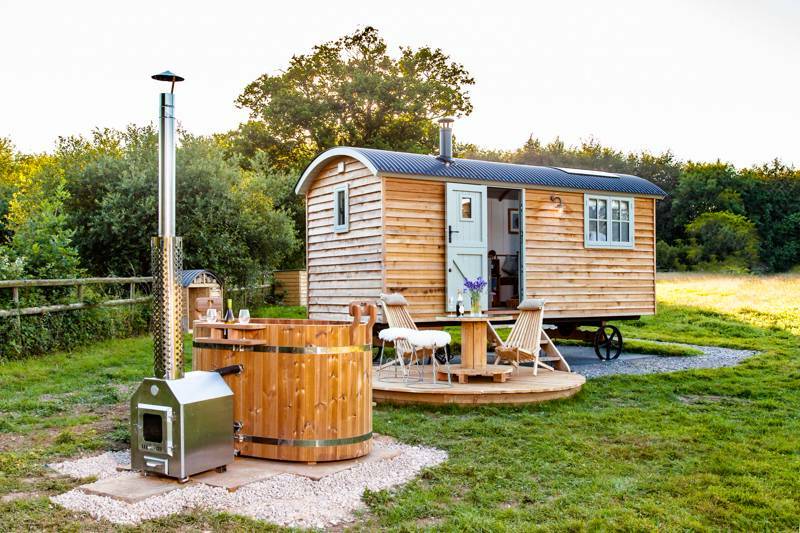 Glamping with a hot tub not enough? 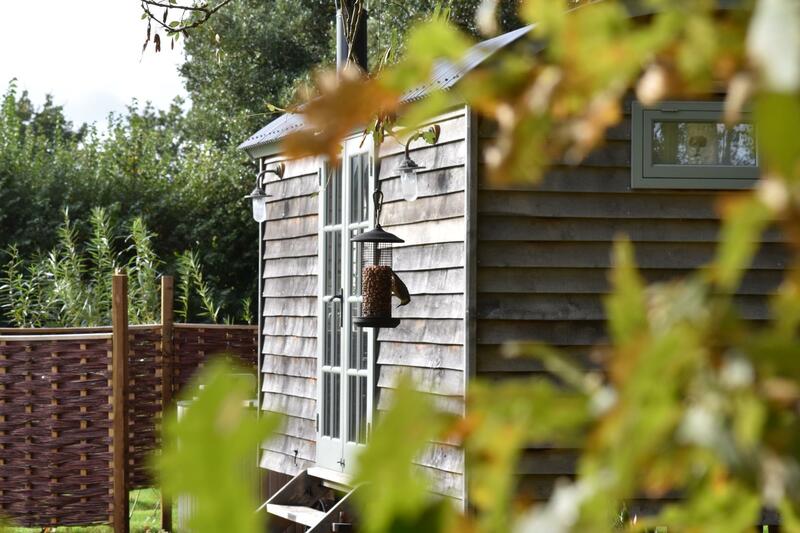 The two luxurious shepherd's huts at Dreamhuts Retreat also share a Scandi barrel sauna where you can steam your troubles away. On the hunt for a hot tub but haven't found your perfect place in this list? 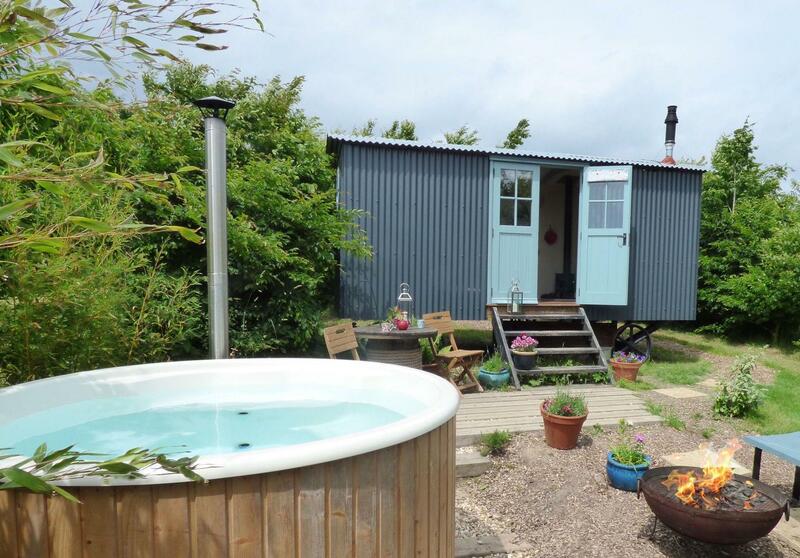 Browse our entire glamping with hot tubs collection instead or head to our shepherd's hut glamping guide for further suggestions.